Opening with a scene from a bad sitcom that turns out to be indistinguishable from the rest of the movie, Finding Amanda limps before it’s even out of the gate. 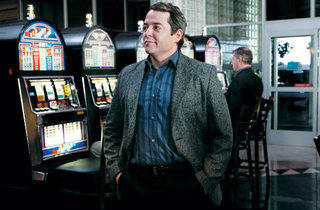 Taylor Peters (Broderick) is a formerly successful television producer whose career has been thrown into crisis by various addictions, most recently betting on horses. In a last-ditch effort to redeem himself in the eyes of his long-suffering wife, he takes off for Las Vegas (promising, of course, no gambling) in search of the couple’s 20-year-old niece, Amanda (Snow, channeling Reese Witherspoon), who’s working there as a prostitute. Taylor intends to haul Amanda off to a posh rehab center, but when he finds her (which, belying the film’s title, doesn’t take all that long), she appears quite content with her apparently lucrative career. We’re overdue for a good satire about the culture surrounding the recovery industry; this witless comedy is not it. 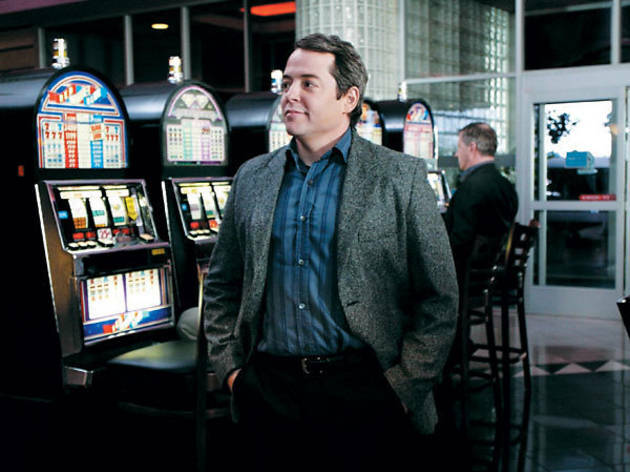 Broderick is credible enough as a struggling TV producer but badly miscast as an alcoholic compulsive gambler; still boyish-looking at 46, he doesn’t have the face of a man ravaged by decades of addiction. Consequently, almost nothing feels remotely credible, which combined with some painfully amateurish scenes involving Amanda’s deadbeat boyfriend (Facinelli), dooms this pony to a finish well out of the money.